Photo: Ben Berkiw, David Lacroix. 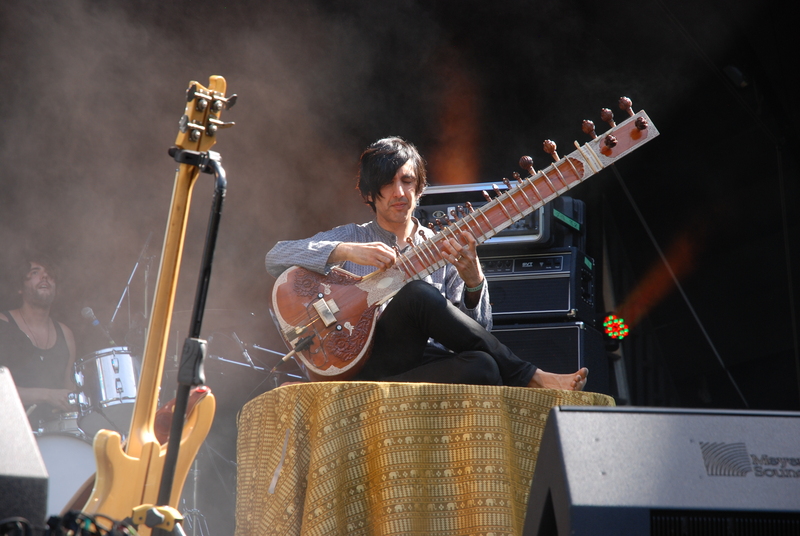 Notable for his collaborative work with the Black Angels, the Brian Jonestown Massacre and the Horrors, Dhir is a friendly, artistic soul and one of psychedelic music’s best kept secrets. 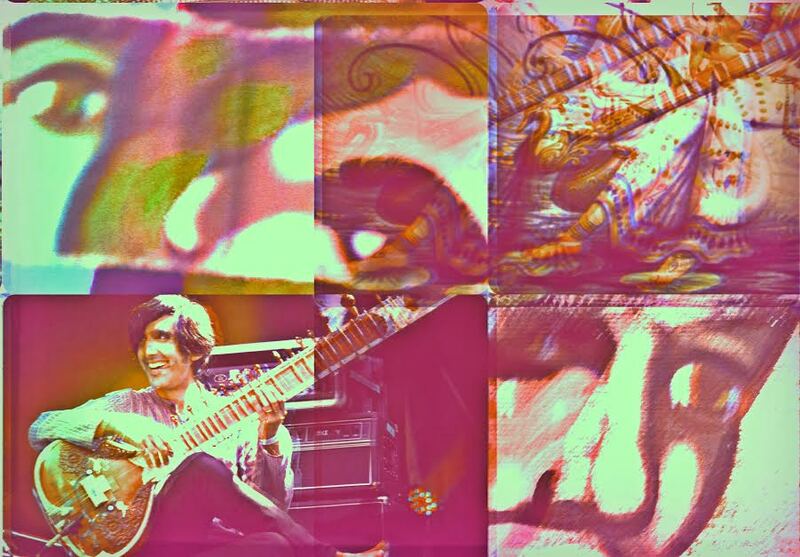 Rishi talks about his recent work, the Three Poisons, British influences, Austin Psych Fest and the state of psychedelia in Montreal. Check out Elephant Stone by downloading Acid Killed My Rock and Roll, courtesy of NoiseTrade.com. 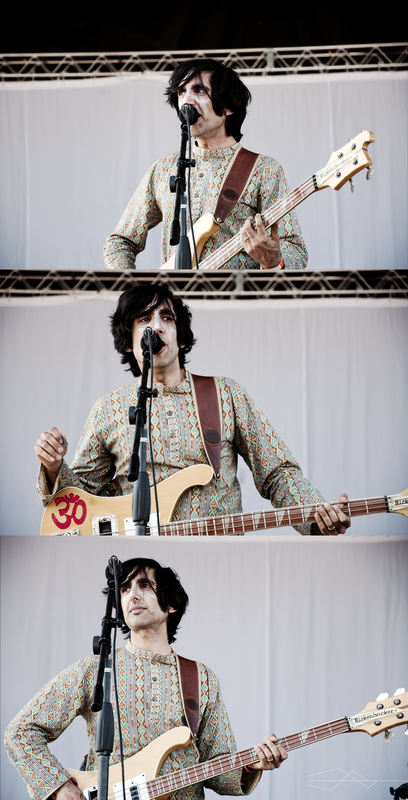 Rishi Dhir of Elephant Stone at Levitation Vancouver, 2015. Dave Lacroix: Elephant Stone just performed their live debut on the upcoming album Three Poisons at the Mohawk Austin Psych Fest launch party. Rishi Dhir: We just finished the record two weeks ago and our publicist suggested “why don’t you play the whole record at psych fest?” I said alright and we spent a week learning it and we had a warm up show in Montreal. It was kind of nerve racking, I don’t really know what this new record is anymore. For probably about, four or five months now, I’ve just been thinking about this record. Debuting the record, I didn’t know wither or not people were going to boo or applaud. I think it went okay. At festivals you only have 20 minutes to set up and then you play so you have to pay attention. DL: The performance of The Three Poisons included some stylistic shifts for Elephant Stone. Rishi Dhir: It all started New Years 2013, my brother in law called me and said “I found this box of vinyl in front of my house, come check it out”. I asked what was in it, there was apparently some Echo & The Bunnymen. So I head over and open the box and it is this treasure trove of records: Happy Mondays, Pale Saints, The Stone Roses, New Order… all 12” records. Usually these 12” singles are more dancey, kind of house sounding remixes. It blew my mind, I listened to all these records and it got me excited again about Manchester stuff again. So I’ve been listened to those kinds of records Screamadelica and stuff like that. I was touring a lot that year; I had just finished a tour with the Black Angels. 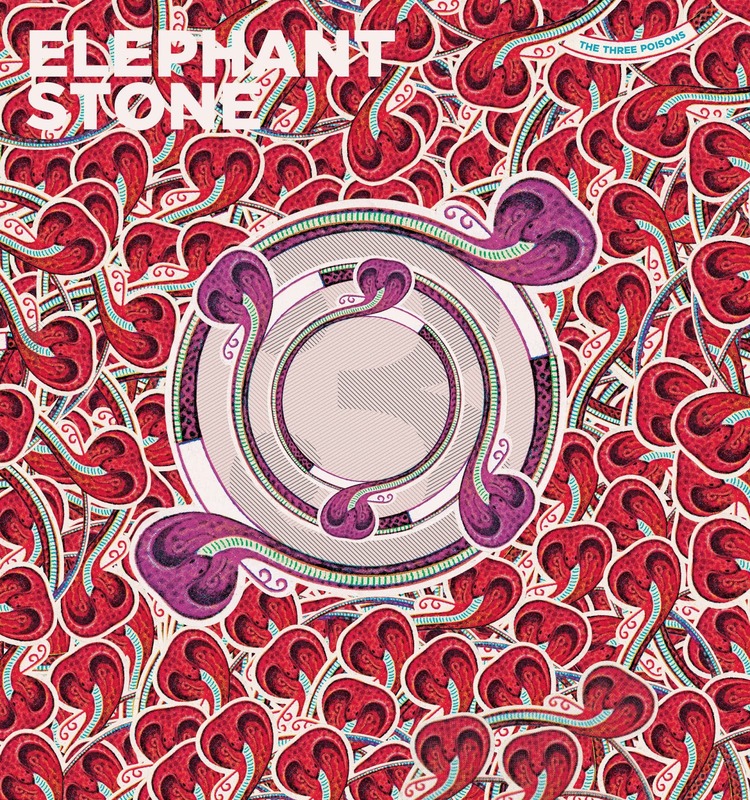 I find this record is taking what Elephant Stone is, a pop band, and taking it towards a darker, not house, but something with a dancey vibe to it. Shows are pretty boring if people aren’t dancing. Its really boring if everyone is standing around. Not to generalize, but girls like to dance more than guys and I like to see people having a good time at the show. Our new drummer is really into soul and I used to play in an R&B band so I brought back some Motown style baselines and the kind of more groovy stuff. DL: How did you come to have a guest vocalist on The Three Poisons ? Rishi Dhir: I had this idea but I knew that I couldn’t sing R&B. So I had this girl in Montreal named Meleka come in and sing. For Austin, I wanted to have the same vibe so I found this girl [Kate Priestley] from Austin by way of Leeds. We never rehearsed, we just met backstage for the performance. I had sent her the songs but it was really spontaneous. DL:Elephant Stone released Acid Killed My Rock n’ Roll, a free downloadable compilation album this past summer. Tell us about that release. Rishi Dhir: My manager asked me how I felt about making an introduction to Elephant Stone. I was like “alright”, so I started to go through our releases, two albums and an EP and put some songs together. When Elephant Stone was touring with the Black Angels in Europe, [Black Angels Guitarist] Christian Bland and I were backstage in Hamburg talking about music. We are all music geeks – so we started talking about when rock n’ roll ended and where psychedelic began. Christian was going on about how Rock n’ roll was Buddy Holly and that era but at some point it changed. I said “acid killed rock n’ roll” and Alex Maas said “I’m going to write a song about that before you.” We had a little competition, so when that compilation album came, so I just called it that an emailed Alex right away, “There you go!” It’s also a reference to Black Rebel Motorcycle Club. DL: You have collaborated with the Brian Jonestown Massacre, The Black Angels, the Horrors. How goes the sitar business? Rishi Dhir: [laughs] It doesn’t pay much. I toured with the Black Angels last year. DL: Is there a rich psychedelic scene in Montréal? Rishi Dhir:Montreal is funny, there is no Montréal sound. There’s so many bands, experimental bands, crappy mainstream rock bands, cover bands, Arcade Fire and Wolf Parade copy bands. This girl I know is trying to start a Montréal Psych Fest, so it is sort of starting up. Every Montréal band wants to be big in Montréal. It is my home town, at one point I stopped, I see it as a place I can make mistakes. We finished our new album and I booked a show because people are forgiving there, they understand. It turned out to be a great show. Montréal is interesting because of the Francophone French community. I had friends who went to French high school and they would be listening to Pink Floyd all the time where all the English guys were listening to the Pixies. So they were stepped in prog when everyone else was stepped in Indie rock. Montréal has these tradition of loving bands like Supertramp and Genesis, so there is actually a really strong psychedelic connection with that city. I am starting to see that now; our fan base is more Francophone than English. I don’t think that there is any other band like us in Montréal; we are on the line between traditional music, pop and rock. It’s nice when you see start to see people you don’t know at shows. DL: The Elephant Stone website called the Levitation festival in France your best show of the year. Describe that experience. Rishi Dhir: That show worked out really well. We were on tour with the Angels. Originally we were booked for an afternoon slot and I got a call from Rob Fitzpatrick, one of the organizers for Austin Psych Fest. He said Temples couldn’t do the gig and asked if we wanted to headline the outdoor stage. It was our first headlining set of the tour. There were over a thousand people, it was like what Austin Psych Fest was before it moved to Carson Creek Ranch. People were freaking out. It was one of those moments when you look at the other guys in the band and you are all in the same space. When you aren’t stressed and are perfectly calm and the crowd is giving back to you. I remember getting offstage and feeling totally euphoric. It was one of my favourite shows ever. This whole community of The Reverberation Appreciation Society, is very supportive. They don’t view bands as disposable and will support them past a record or a song. The majority of bands out there in the Indie rock they come and go. They get raised by Pitchfork and then trashed the next day. Elephant Stone @ Levitation Vancouver. DL: What are some of your favourite Canadian psychedelic groups? 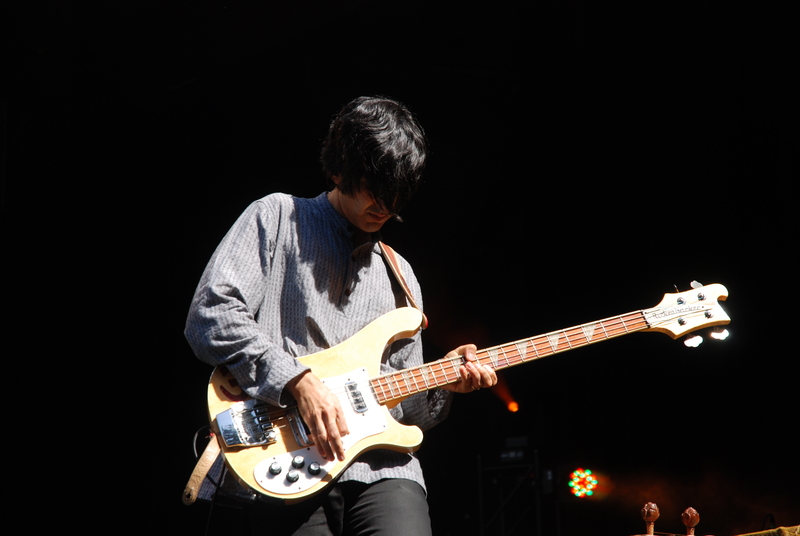 Rishi Dhir: The Besnard Lakes, we are good friends with those guys. Every time I hear their new record its great. People always try to write bands off and say they sound like so and so but you can’t copy who you are so you always sound like yourself. I get really excited when I see their live show; it’s very different from us but you also see where the common ground is and how we can both weave around that in our own way.